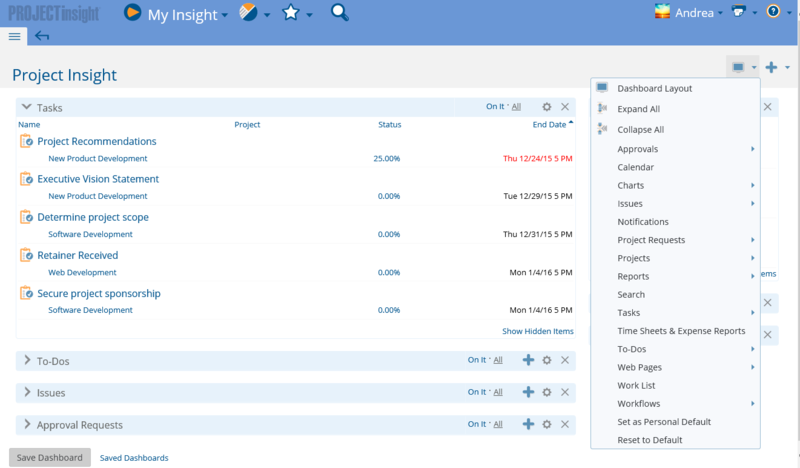 Centralize and easily access all Project Insight information with PI Dashboards. 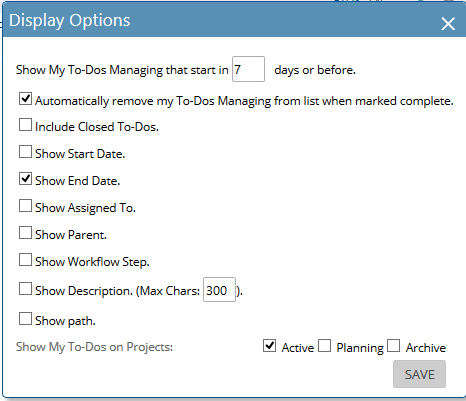 You can customize your Dashboards with work item tiles. See Dashboards for a complete overview of how dashboards work and how to create, customize and manage them. 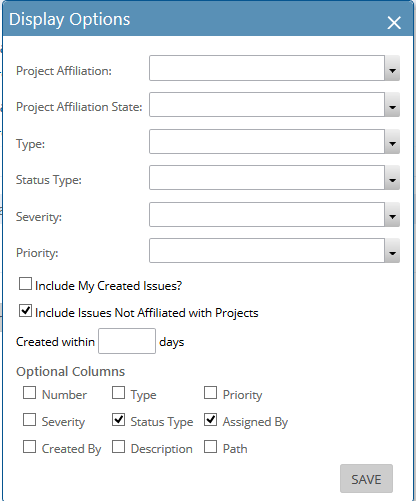 Note* All components available in Project Insight are always listed in the Dashboard Options menu. 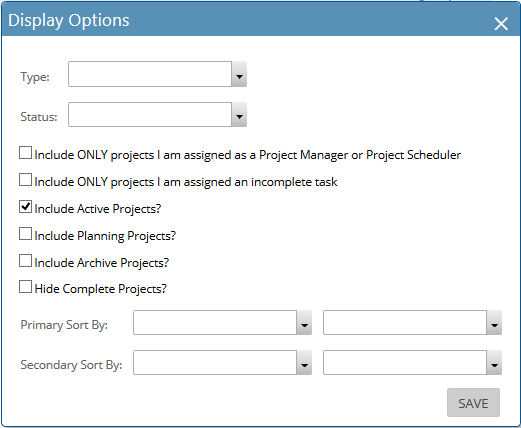 In some cases, there are sub-menus which are indicated by the next to them. If there are sub-menus, hover on the main menu item and then the sub-menus appear. 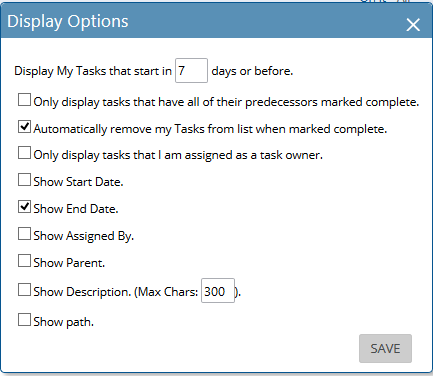 Some tiles have individual display options (depending on the Work Item). 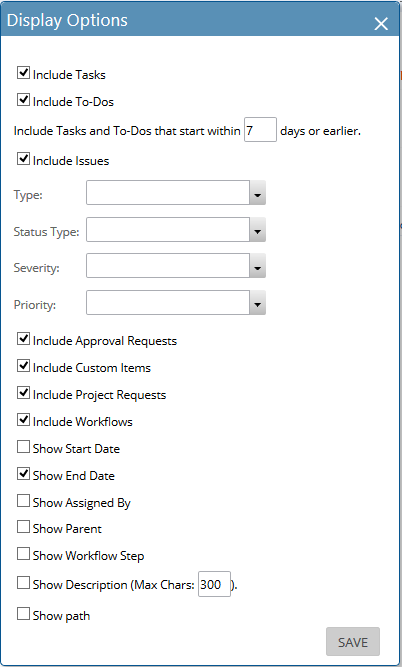 You can change what information is displayed in that tile with a Display Options icon appears in the title bar. 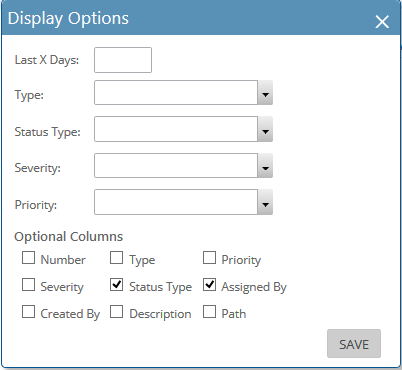 Once the tile is displayed on the dashboard, click on the icon to change that tile's individual settings. These settings are explained in each section below if they are available. 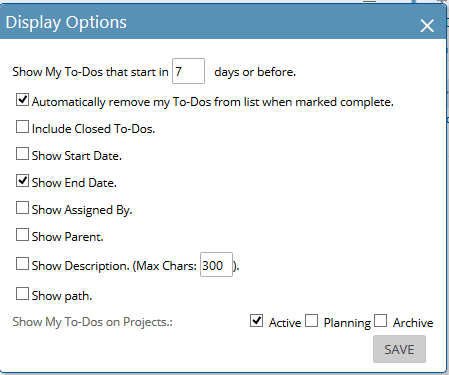 Calendar lets you open up a standard calendar interface to view your to-dos and tasks within a calendar interface. Charts lets select from a large list of pre-defined charts to add to your dashboard. 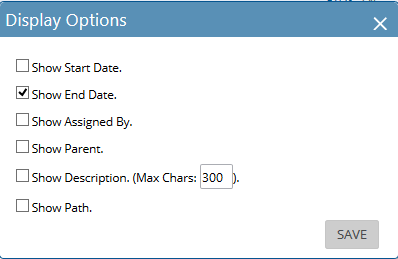 The options for each chart vary depending on the chart selected. 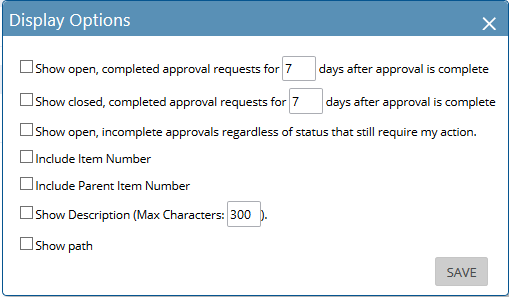 Notifications will display all notifications that have been created by auto-alerts and require your attention. Search add a search box to your dashboard to help you quickly find information by entering keywords or using the Advanced Search option for more search filter criteria. Time Sheet & Expense Reports is a list of time sheets and expense reports which are pending action. 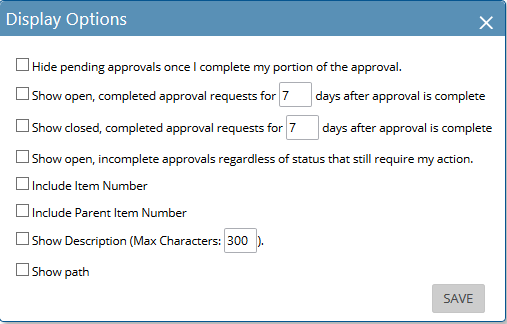 These will include reports you have submitted and those which need approval by you if you are an approver.